Here is one nice video that demonstrates the power that lies behind the 5 camera setup of Nokia 9 Pureview. Actually, this video clearly shows that Photography enthusiasts, especially those that have know-how of the photo editing tools, were the group that Nokia Mobile (HMD Global) was aiming for when creating the Nokia 9 Pureview. The video was done by Mrwhosetheboss, and he did it nicely so do check it out below. I need to be sincere about this video. It does feel and look like a paid promotion, but it is done in a good way that demonstrates how many details can be found in the RAW data file that Nokia 9 Pureview creates. He also included the photo that is adjusted by the phone itself so you can see what you get from it without editing. You probably noticed that low light shots are missing in the video, and the reason is pretty much known here since 9 Pureview is struggling with it as shown in different reviews. 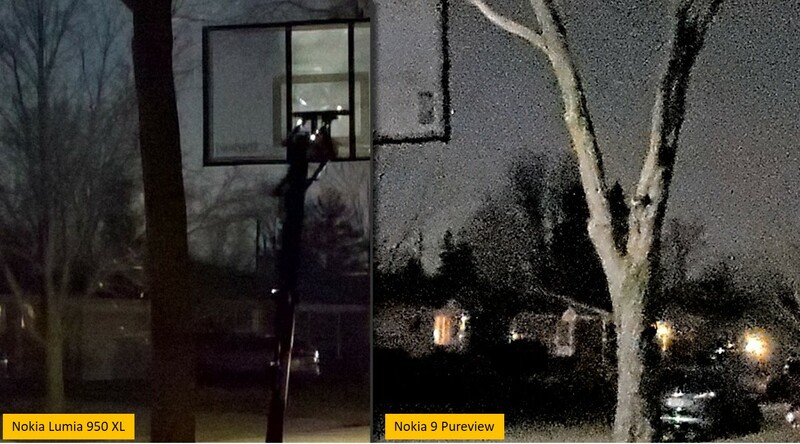 Even Steve Litchfield from AAWP showed in his camera comparison of Lumia 950 XL and 9 Pureview that there is a lot of work to be done with the algorithm for the low light shots (I suggest you skip the first half of the comparison where Steve is nagging about not getting the device for a review. Take the number Steve or get in a line). I know that professional photographers always edit their shots taken with top of the notch DSLR cameras, but why does 9 Pureview unedited shots look like they need a lot of post editing to be done. I think that HMD is on a good track with it but still needs to invest a lot into this kind of camera setup to make it usable not only for a small percentage of people.